Nazanin Zaghari-Ratcliffe, the British-Iranian woman who has been held in Tehran for more than two years on sedition charges, returned to prison on Sunday after temporary release, dashing her family's hopes of an extension. "We have just heard the sad news that Nazanin's extension has been refused and she has returned to prison," said a tweet on the official "Free Nazanin" Twitter account. "Here is the moment she said goodbye to a distraught Gabriella," it added, along with a picture of Zaghari-Ratcliffe and her four-year-old daughter. She was unexpectedly released for a three-day furlough on Thursday, and was reunited with members of her family outside the Iranian capital. 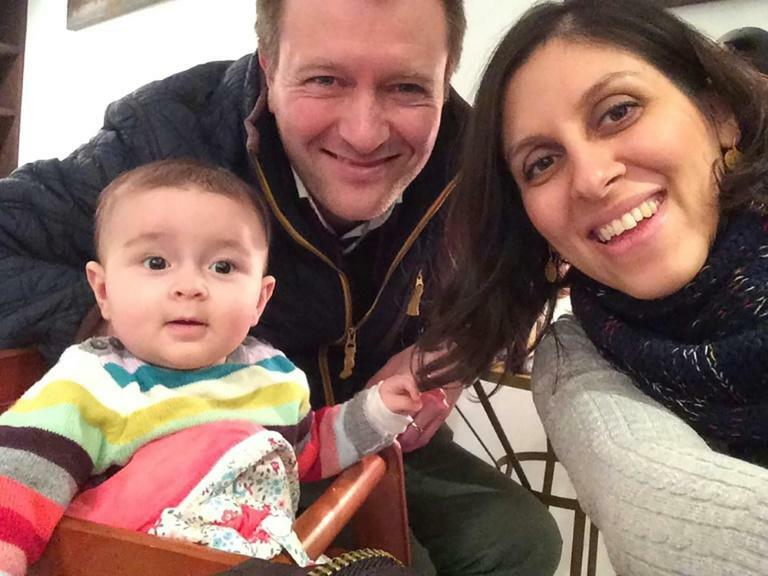 Husband Richard Ratcliffe said they had received "mixed messages" from the Iranian authorities on Sunday, ahead of her return to Evin prison. The charity worker had initially been told her request for an extension had been approved, but then received a call telling her to return to prison by sunset. "Gabriella was crying and sucking her thumb -- she didn't want her mummy to go back." Ratcliffe said his wife, who has denied all charges filed against her in Iran, spent her time with her parents and daughter in Damavand, a mountain resort near Tehran. Zaghari-Ratcliffe, who works for the Thomson Reuters Foundation -- the media organisation's philanthropic arm -- was arrested at Tehran airport on April 3, 2016. She is serving a five-year jail sentence for alleged sedition.